Making a wire tree sculpture takes very little time, but the end result is a pleasing gift or display for an office, desk or family room. The materials required are simple, easy to use and safe, making wire trees an excellent project for young children. (Adult supervision is still required, however, for this project.) Using high-quality materials will help ensure that your sculpture lasts. 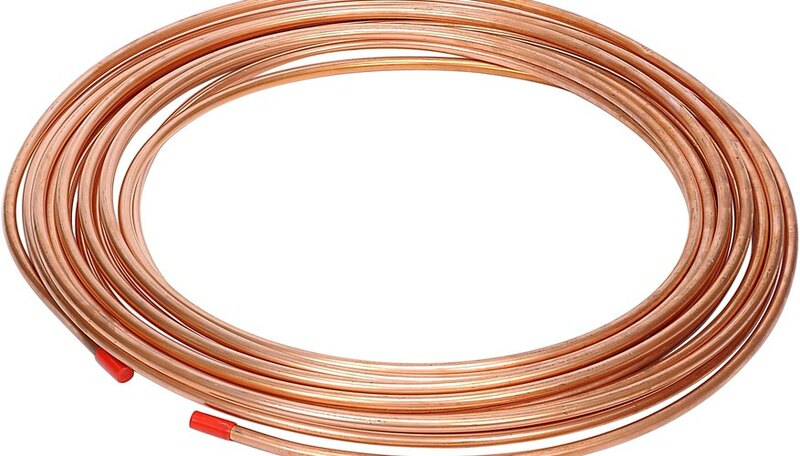 Copper wire is a durable material that's easy to work with. Paint the base of your wire tree green or brown and allow it to dry overnight. Dye or paint your cotton balls green for use as leaves and canopy. Allow them to dry overnight. Cut several lengths of copper wire. Twist copper wire together to form the trunk of your tree. Make sure the wires form a flat base at one end. Hold several lengths by one end and twist them together to form a barklike appearance. Use 8 to 10 strands of copper wire, depending on how thick you want the tree to be. Twist smaller bunches of copper wire together to form branches. Attach the branches to the trunk by inserting them with a pair of needle-nosed pliers. This will ensure that they stay firmly in place. Bend and shape the branches once they're on the tree to create realistic-looking randomness in the shape of your tree. Use a glue gun or strong clear-drying glue to attach the tree and its branches to the wooden base. Attach green cotton balls to the branches to form a more realistic leafy appearance for the tree. If you don't want to use a glue gun to attach your tree to its base, leave 4 to 6 extra inches at the bottom of the tree trunk and wrap the ends around the base firmly. Wear gloves when working with cut wire, as it can be sharp.